Many have asked, and when you ask, you shall receive! 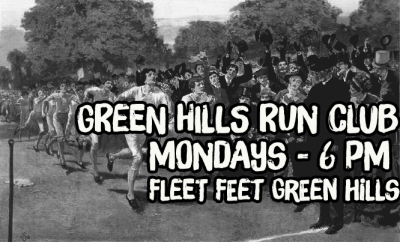 There's a new group in town meeting on Monday nights to do some fun running. All levels are welcome join in on this. The idea behind the Green Hills Run Club is just meet together to have fun, enjoy a good run/walk, and meet new friends. Each week there will be a 3 mile and 5 mile route option for your run or walk.